Hands down the saddest part about being an adult (read: someone who is not in college anymore) is the fact that the simple act of seeing your friends is suddenly SO difficult. They are no longer hungover in your living room on Saturday mornings. Gone are the days when you know you’ll see them in class on Monday after a weekend away. The cruelest part of all of this is that when you get older, it’s not like you need your friends LESS. In fact, I’d argue the opposite. 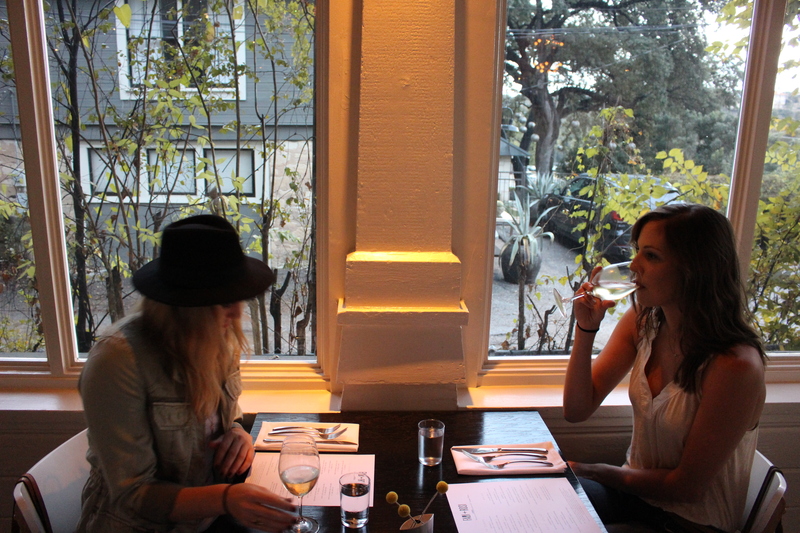 On a rainy day in October, two of my girlfriends and I were finally able to coordinate a friend date–one complete with wine and munchies–all at a happy-hour-sized price. I was not in charge of picking the place, but upon my arrival I realized that I could not have picked a location more perfect for a catch-up sesh with my best girls. 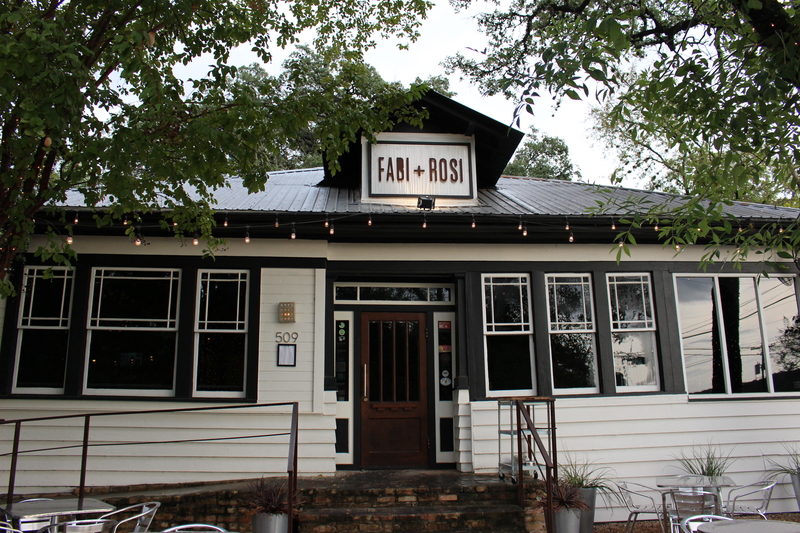 Like lots of adorable restaurants in Austin, Fabi + Rosi looks like a home, but this one probably reminded me of my own home the most. A gorgeous old tree hangs over the entrance of the West Side/Clarksville establishment, dressed with tiny white twinkle lights. A simple sign hangs above the front door of the little bungalow to inconspicuously welcome patrons to the cozy spot. The dining room boasts a surprising amount of natural light (especially considering the time–5 p.m.–and the weather report). The floors creak as you walk. The tables are a solid, dark wood and clean, white linen napkins finish the classic look. 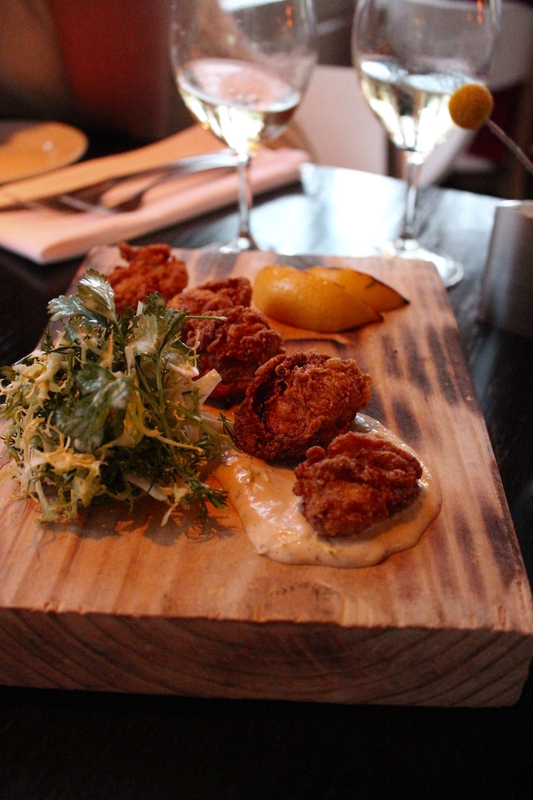 The fried oysters at Fabi + Rosi came out hot, crispy and gorgeously presented over a bed of frisee and creamy remoulade. Other than seeming a bit larger than fried oysters I’ve had in the past, there is little to say about these that separates them from the rest. The taste was pretty standard. Not particularly memorable, but good enough to remember. To call our next dish “truffle fries” is generous, but the golden crispy fries were delicious, even with the extremely heartbreaking lack of truffle. 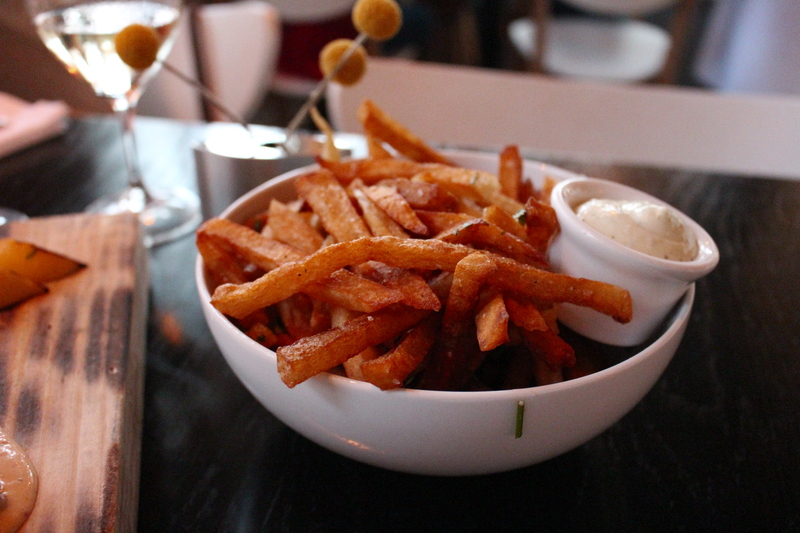 The fries do not appear on the menu alone but our server was more than happy to oblige. They still fall in the category of “fries you pay more than $1.99 for,” so we were happy. Next time I’m ordering them with the mussels: the crispy exterior is simply made to soak up succulent broth. Finally, the Brotzeit board. 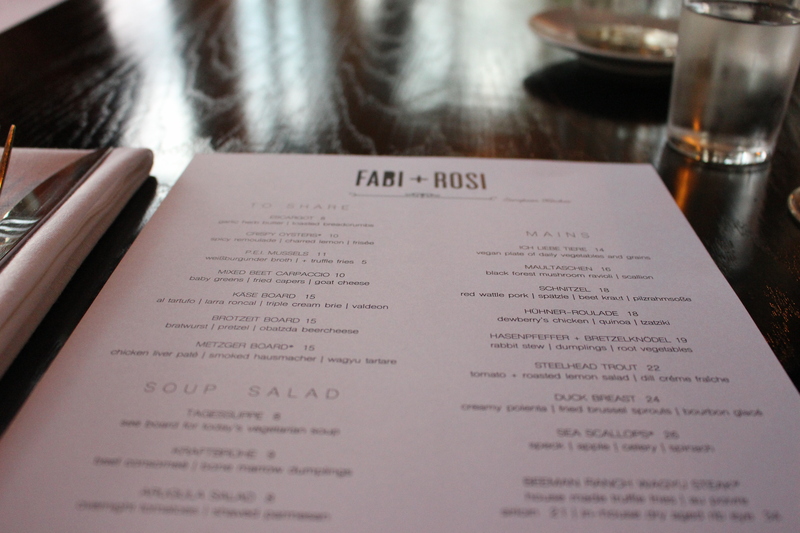 Fabi + Rosi describes their concept as European, and this board was completely (and delightfully) German. 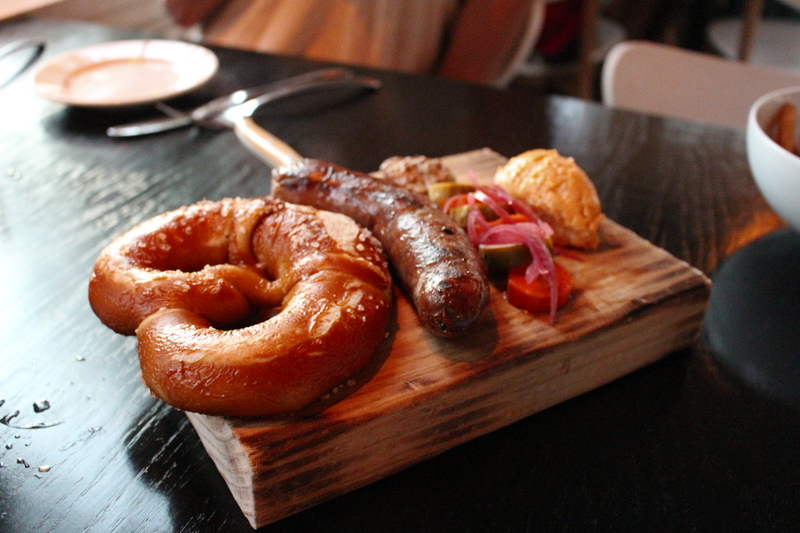 A flavorful bratwurst is tucked alongside pickled vegetables, a fresh-baked soft pretzel and a dollop of beer cheese (emphasis on the beer). The plate was salty, filling, and by far the highlight of our carbohydrate binge. The dinner menu is affordable ($14-26 for an entree) and full of mouthwatering dishes like Schnitzel, mushroom ravioli, wagyu steak and rabbit stew. If the appetizers prove anything, it’s that you’re likely to be happy with what you order, even if it isn’t what you are expecting. As the weather turns cold(er), each and every dish screams cozy-weeknight-meal. 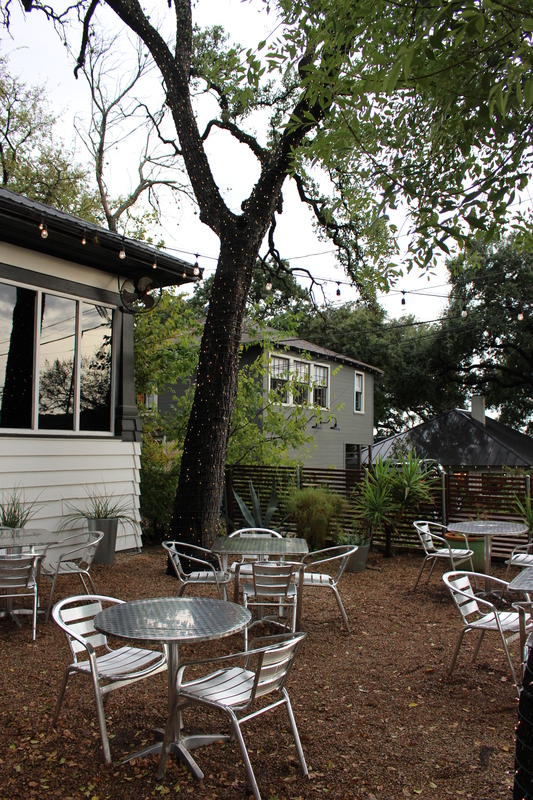 The restaurant lends itself to date nights and family dinners with its homey feel and classic decor; I will definitely be back with a date on my arm. 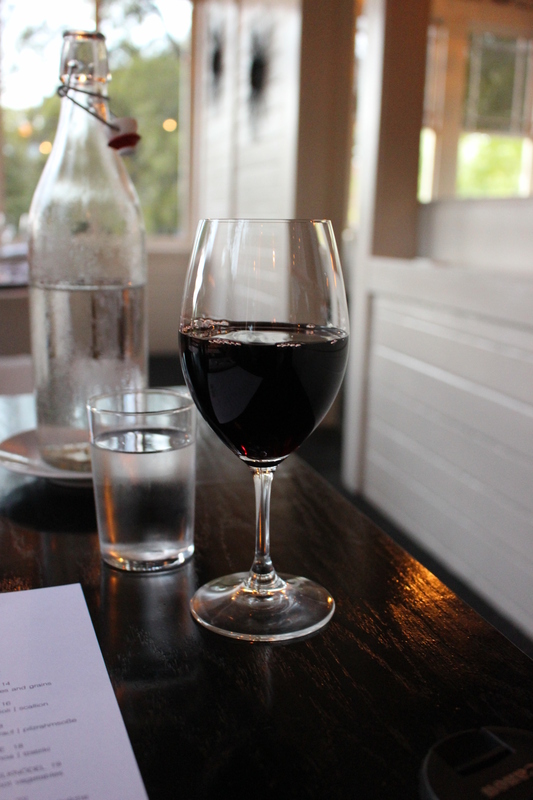 That said, there is truly nothing like a catch up session with the girls that goes on so long that your server starts clearing your water glasses. It’s a good thing Mean Eyed Cat (with their Revolution Blood + Honey on tap and Johnny Cash on loud) is just down the street.